The Penticton Vees Jr. ‘A’ Hockey Club is pleased to announce a trio of recruits for the upcoming 2016-17 season. Goaltender Nolan Hildebrand (98), defenceman Joe Leahy (97) and forward Jared Nash (98) will suit up for the Vees in the fall. “We look to recruit not only great players but great people and all three are very well-rounded young men, who not only excel on the ice but away from the rink as well. These three fit the Penticton Vees mould and we’re excited to add them to our program,” stated President, General Manager and Head Coach Fred Harbinson. Hildebrand, 18, spent the past two seasons next door at the Okanagan Hockey Academy (OHA). This past year 6’2 goaltender fashioned together a 16-6-1 record in 24 games with OHA Prep White in the Canadian Sport School Hockey League (CSSHL). Hildebrand was second in the CSSHL Prep Division in wins (16) and save percentage (.939) and fourth in goals-against average (2.04); he also had three shutouts. 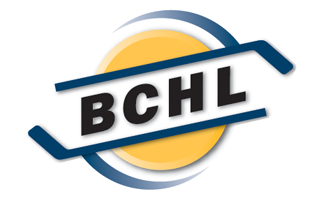 In all competitions last year, the Summerland, BC, product sported a 22-9-4 record in 37 games and owned a .940 save percentage. Fans may be familiar with the athletic goaltender, as he was an Affiliate Player this past season with the Vees. Joe Leahy and Jared Nash both played for the Stratford Cullitons in the Greater Ontario Junior Hockey League (GOJHL) last season. The Vees have strong ties to the program, as Mitch Brooks and former Captain Brad McClure both came to Penticton from Stratford. Leahy, 19, had an excellent season on the blue-line for the Cullitons, as he was named the Midwest Conference Defenceman of the Year and First Team All-Star, after racking up 19 goals and 48 points in 44 regular season games. 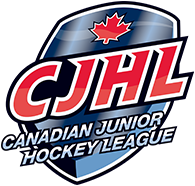 The Waterloo, Ontario, native was fifth in team scoring and fourth among defencemen in the GOJHL. The 6’4, 204 pound rear-guard averaged a point per-game in the playoffs, scoring six goals and 21 points, helping lead the Cullitons to a Cherry Cup title as Midwest Conference champions. In 82 career regular season games in the GOJHL, Leahy amassed 28 goals and 70 points and another 25 points in 36 career playoff games. Nash, 18, finished second in team scoring with 19 goals and 62 points in 45 regular season games, and played in the GOJHL Top Prospects Game and served as an Assistant Captain this past season. His production didn’t fall off in the post-season, as the hometown kid put up six goals and 26 points in 21 playoff games; he had 10 points in five games during the Cherry Cup Final. Nash won a trio of team awards this past season, including the best plus/minus award, the top Stratford Minor Hockey graduate award and the fan’s choice as player of the Year. In 90 career regular season games, the Stratford, Ontario, product amassed 28 goals and 58 assists for 86 points. In 38 career playoff games, Nash had another 10 goals and 35 points. The Vees organization is excited to welcome Nolan, Joe and Jared into the fold and the three will arrive in the South Okanagan in August, for the team’s Main Camp.